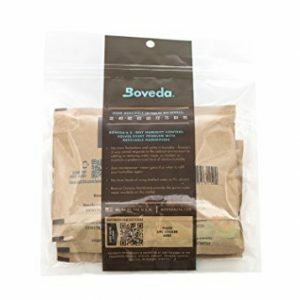 60 gram Boveda provide hassle-free maintenance of full-size humidors and humidor bags. Every Boveda RH is accurate to +/- 1% in an air tight environment, which humidors are not. It’s common that the actual RH of your humidor will stabilize up to 5 points lower than the Boveda RH you’re using, due to humidor quality and ambient dryness. 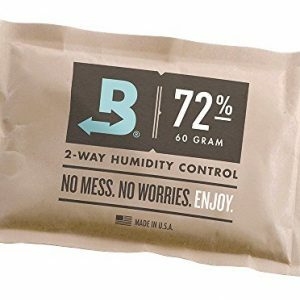 That’s why we make Boveda in six different RH levels: 62, 65, 69, 72, 75 and 84 percent – so you can use the RH that achieves the humidity you and your cigars prefer. 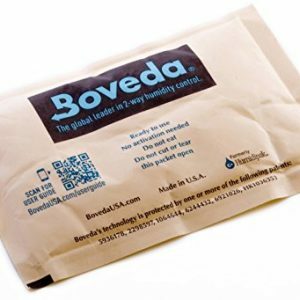 Unlike distilled water and PG solutions with sponges/gel/crystals/beads that will impart unwanted flavors on your cigars, Boveda’s reverse-osmosis membrane only releases pure water vapor and Boveda will never damage anything through direct contact. 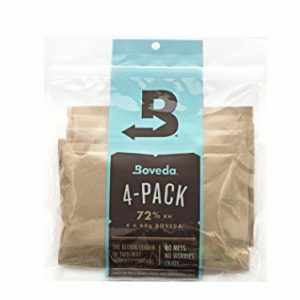 Once you smoke a cigar stored with Boveda, you’ll finally enjoy it exactly as the master blender intended.